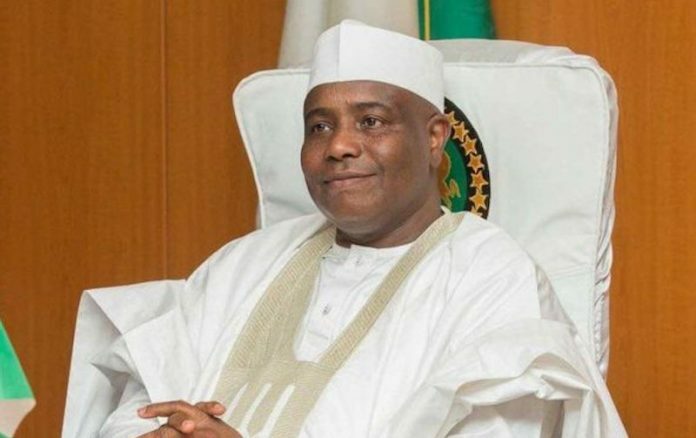 Governor of Sokoto state and presidential aspirant of the Peoples Democratic Party ( PDP), Alhaji Aminu Waziri Tambuwal, said job creation for the teeming youth population and women development would be given to priority in his government if elected president in 2019 general elections, adding that he will not run a clannish government. The governor made this promise at the PDP secretariat Minna, Niger State, yesterday, while addressing delegates from the state as part of his nationwide consultation tour. According to him, “I will not run a government of a few for interest of a few, if given the opportunity to serve this country as a president. No section of this great nation would be denied the opportunity of human or capital development. “Nigeria is blessed and every Nigerian should naturally benefit from this God given blessing, and every good opportunity to develop and fulfill our potentials as a people,” he said. He added that in him, Nigerians will have a personality who will, with their support win the coming presidential election convincingly. He gave an assurance that he shall evenly distribute the wealth of this country, projects and development across, adding that Nigeria belongs to all, irrespective of ethnic or religious background. While thanking the delegates and supporters for coming out emass to receive him and his team, the former Speaker of House of Representatives, said that “coming to Minna is like coming home” to him because of the pleasant memories the “power city holds” for him. He urged the delegates to vote for a candidate with leadership experience and capacity and somebody that has comparative advantage over the rest like him, with his experience as a legislator, part of which he served at different capacities, which culminated with his tenure as a Speaker. “As a lawyer and live member of body of benchers and also my executive experience as a governor, I have full understanding of what it takes to pilot the affairs of this nation and return it to the part of unity and development’’, he stated. Responding, the Niger State chairman of PDP, Mr. Tanko Beji, hailed Tambuwal’s leadership capacity for bridge building, peace-making and plans to give Nigeria a nation of equal opportunities, adding that the former speaker “falls within the age bracket, exposure and intelligence of emerging global leaders.